We stock the full range of Greenhouse seed co. cannabis seeds here at dope-seeds and they are consistently one of our best selling seedbanks. The Green House Seed Company is the most successful cannabis business in the world. Winner of many international awards (34 High times Cannabis Cups, 17 Highlife Cups, and many more private awards in many countries), it is leader in cannabis genetics. Arjan, owner and founder, has been acclaimed The King of Cannabis for his amazing record of cannabis prizes won throughout his carreer. He has always been committed to create the best genetics in the world, and to ensure that the growers choose the best genetics, based upon their location, logistics and personal knowledge. Arjan started collecting genetics and landraces from all over the world 25 years ago, and the hunt is still on! 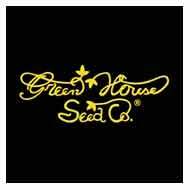 Check out the full range of seeds from Greenhouse Seed co. now!